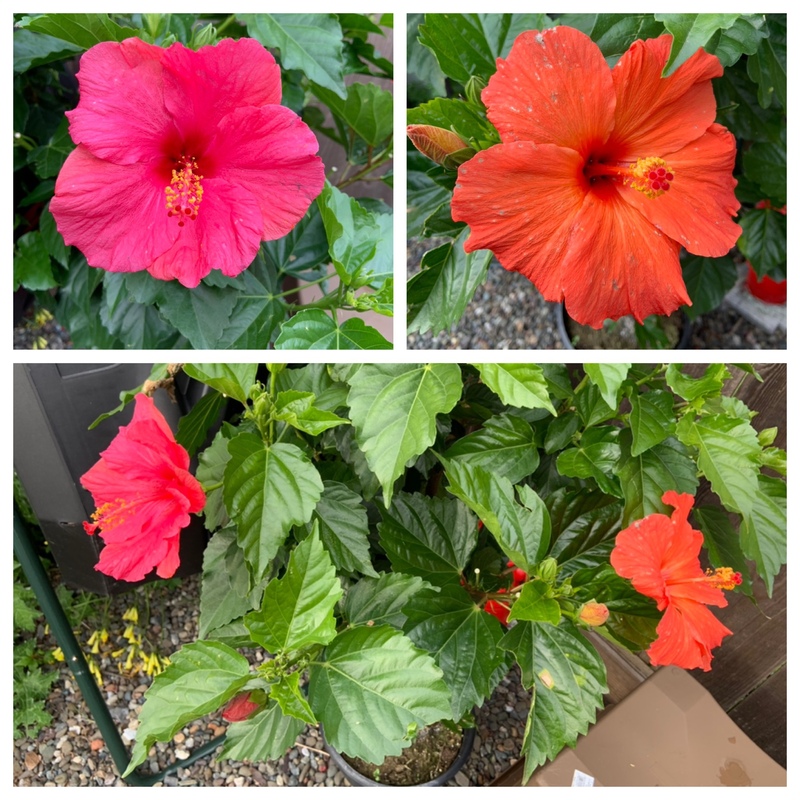 Our gorgeous Hibiscus tree from Costco surprised us with two different colors of flowers today. I haven’t planted this beauty in our backyard oasis yet, but I spotted these blooms outside Mama’s window this afternoon and it was a highlight of our day. Today’s #OneGoodThing was marveling at our multi-hued Hibiscus tree with Mama! What was your #OneGoodThing today? Please share in the comments! Day 94 of 365. And Day 1,190 in a row (here’s the first 366, & the following 365, & the third year of 365 good things)!